#DIAA2018 is here! To recognize and celebrate contribution to financial interoperability, a special category “Best Switching and Interoperability Enabler” will be presented at the awards event. This year Digital Impact Awards Africa, spearheads interoperability with a panel discussion, special category and feature of Mojaloop software. In our Include Everyone Program and as contributors in the open source community, we spearhead outreach programs to popularize Interoperbality at different national levels. Innocent Kayoowa CEO of HiPipo noted that unless individuals, fintechs and all concerned parties on the African continent take on the challenge and mantle of promoting practical projects and product for that promote interoperability, the cost of financial services will remain on the higher side hindering many of the poor to actively participate and be financially included. 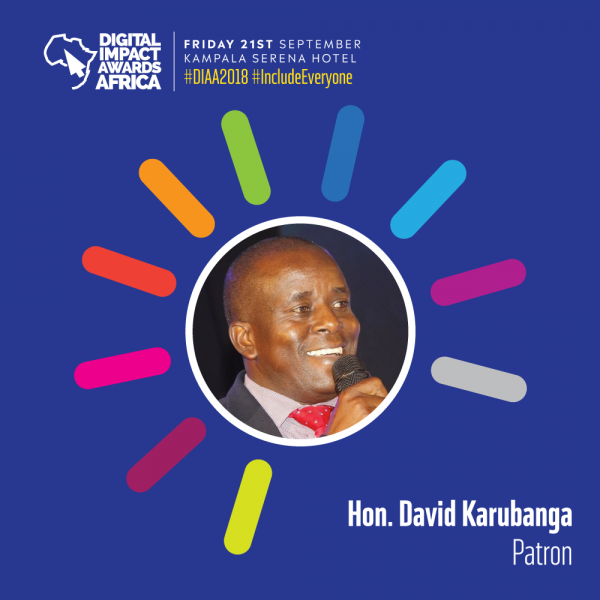 DIAA Patron - David Karubanga, is a Ugandan politician. He is the State Minister of Public Service in the Ugandan Cabinet.